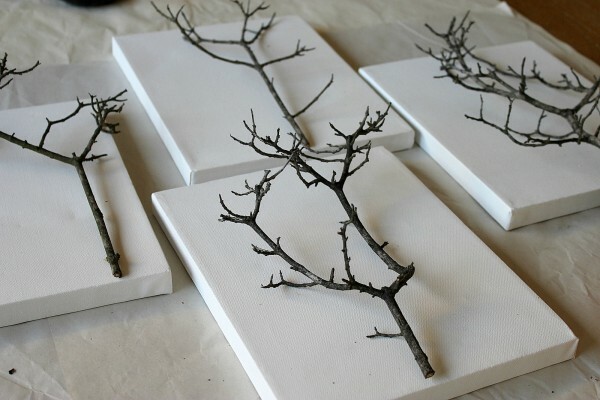 Crafts with branches can produce some of the best rustic decor for your home. Branches are one of those things that can be somewhat overlooked when they are in there natural environment outside. However, when you bring them in your home and use them to decorate, then they quickly become a thing of art. 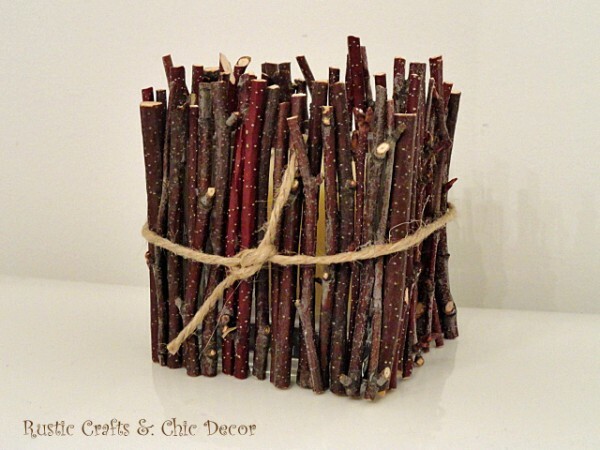 I like to use birch branches in projects and have used them numerous times in a variety of different crafts. My crafts with branches range from picture frames to tissue box covers to lampshades among others. I have used small birch branch pieces in crafts like this rustic candle holder. A plain picture frame instantly becomes a rustic decor piece when it is embellished with bunches of intertwined birch branches. The branches are flexible enough to bend and weave in between each other to create an interesting design and fill the frame completely. 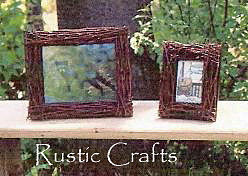 You can find the tutorial at HOW TO MAKE A PICTURE FRAME WITH BIRCH BRANCHES. You can also use branches to spell out words on a sign. 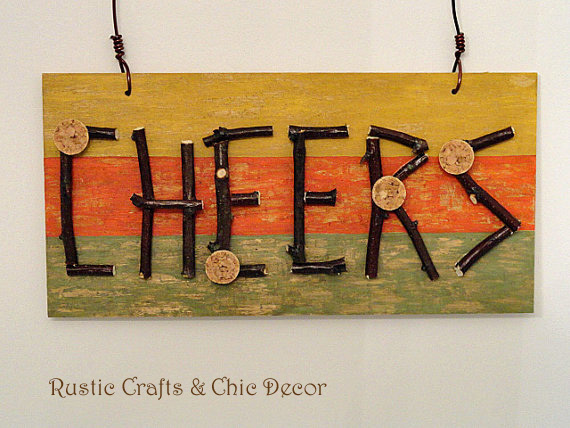 This sign craft was easy to put together by just gluing the branch sections down to form letters. Here are some more unique crafts with branches that I found to be inspiring. I love the simplicity of this look! 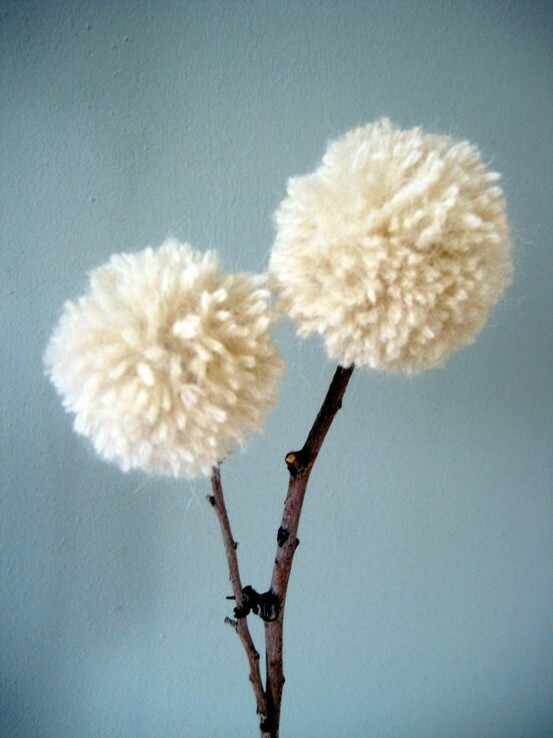 These yarn and twig dandelions would be pretty in a chic vase. Remember I said that when branches are brought inside they become a thing of art? Well, that is why they are perfect in a frame! 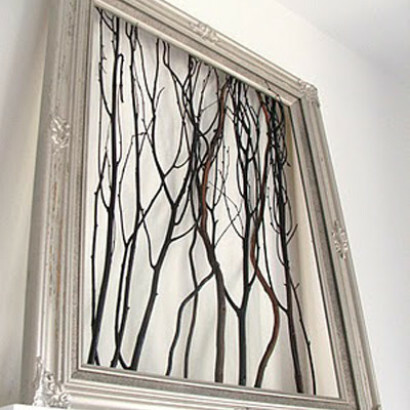 I love this idea which is reminiscent of a picture of trees. Here is a similar idea but a bit more of a minimalist approach. The tree branches are quite striking against the pure white board. What crafts have you done using branches? Share your ideas in the comments below. Love this! With all nature has to provide the possibilities are endless. I love decorating with sticks! Thanks for sharing these great ideas.